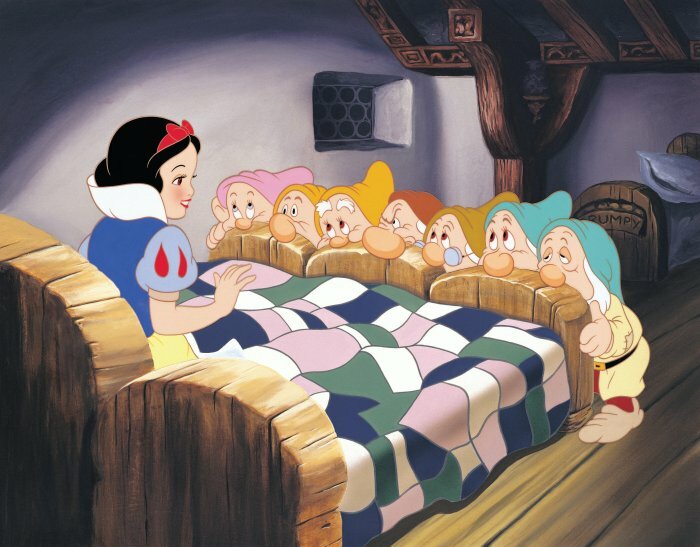 The seven little dwarfs are born after 12 hours! So finally, Kira finished due!!! She started 3 in the morning and finished today nearly at 3 in the afternoon!!! She is a great mother and all puppies are fine. She got 7, the seven little dwarfs! 3 black girls and 4 black males. She is defenite a dominant black! So is our Hollie. Its not very common that Standard poodles takes so long when they due but Kira was the same last time. She is fine not stressed or anything she just takes it easy and is very controlled about the whole situation. 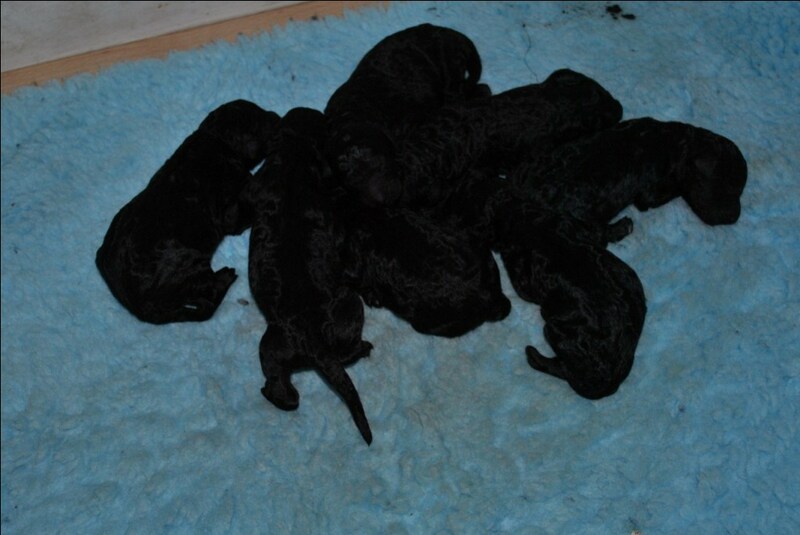 All the puppies are full of life and very strong, so good so far. The puppies are the last litter from the World Winner in Denmark, our Thomas, Ch. Dacun Kaylen´s He´s A Heartbreaker and the mother is Ch. Racketeer Street Poetry a “Max” daughter. You cannot ask for better temperaments than Thomas and Kira has, I also belive in the combination of the 2 dogs. Keep fingers crossed for new little Huffish Stars!!! ← How many puppies do you think she will have? ?